PLEASE NOTE – TICKETS ARE FREE COURTESY OF OUR SPONSOR, AITCHISON RAFFETY, BUT YOU NEED TO BOOK TO ENSURE YOUR PLACE AT THIS EVENT. 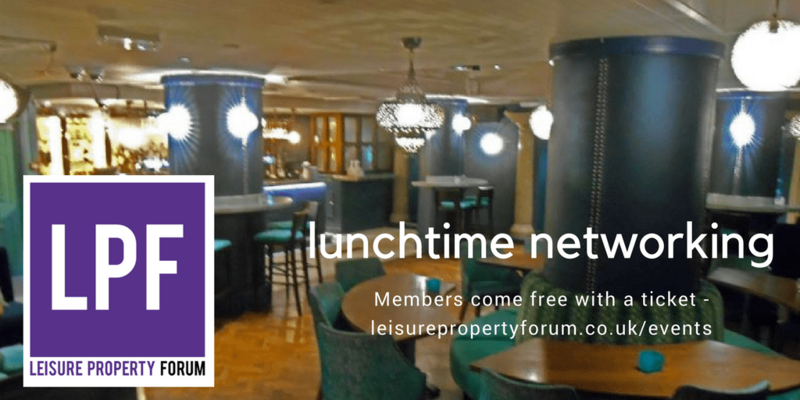 Our next informal lunchtime networking will be on Wednesday 28th March – a chance to enjoy an excellent opportunity to catch up with colleagues and peers in the leisure property industry, before the Easter break. Our venue is The Finery Basement Bar, 23 Great Castle Street, London W1G 0JA (near to Oxford Circus tube) and we expect an excellent turn out – over 60 leisure property professionals from all spheres joined us at the last lunchtime networking event. A complimentary drink and nibbles will be provided by our generous event sponsor, Aitchison Raffety. Tickets are free to members, who may also bring one guest free of charge. Entry by ticket only.